The 2016 Royal Welsh Show – exclusive news for commercial vehicle buyers and owners at this year’s event! Leading commercial vehicle supplier David Spear Commercial Vehicles has extended a right royal invitation to those looking to purchase a new or nearly new van. The Heads of The Valley based firm will be showcasing their latest stock at The 2016 Royal Welsh Show, which takes place between Monday 18th and Thursday 21st July 2016. Their team will be appearing at the David Spear Stand from 8am on each day of the event, and are inviting you to come and join them to not only take a closer look at their full range of commercial vehicles – they currently stock small to large vans and tippers to 4x4s – but take advantage of a fantastic offer and event exclusive. Visitors to the stand will also get to meet the Newport Gwent Dragons. “As well as showcasing our stock and offering all the information potential buyers need to make an informed commercial vehicle purchase with confidence we have also introduced a special show offer. If you purchase any vehicle from our stand you will receive a fantastic gift – a one night stay for two at the beautiful Celtic Manor Resort. 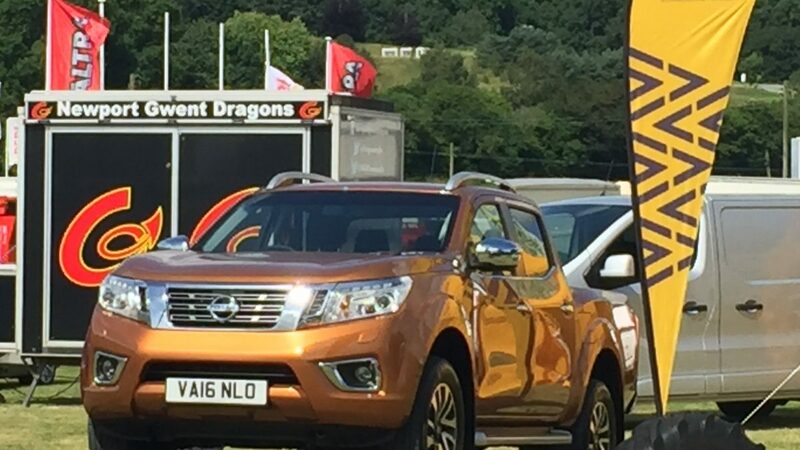 Some of The Newport Gwent Dragons will be joining us throughout the event too and will hold competitions, match ticket giveaways and player signings throughout the day,” said Owner David Spear. The Celtic Manor Resort is based in Newport, and is a 5 star rated, luxury hotel, spa and championship golf resort. Customers buying a vehicle from David Spear on any day of The 2016 Royal Welsh Show will celebrate their purchase in style with a stay that includes an evening meal, breakfast and full use of the resort’s spa and leisure facilities. “I really enjoy the Royal Welsh Show, in fact it’s one of my favourites, and always like to personally attend whenever I can. Whilst we used to attend, this will be our first time exhibiting here, but either way it’s great to be going back! The business has developed a considerable amount since we last attended so I’m really looking forward to exhibiting and showcasing not only our stock but our brand as a whole,” concluded David. To RSVP to David Spear Commercial Vehicles’ invite to their stand for drinks and canapes at The 2016 Royal Welsh Show please email [email protected].